The medium of Architecture, particularly since the modern era offers a complex history of aesthetic values, yet a formal experience of man made interiors and exteriors can be seen as something fundamental in our capacity to grasp the experience of space, to perceive depth, as it passes durationally through our bodily movements in the space. This formal layering of space and time lends itself well to exploration through the medium of moving image, when considering the basic elements at play in filmic representation of spaces. The artist Alanna Lawley works with various processes where at each stage connections can be made to the spatial and physical relationships of image, space and photograph. 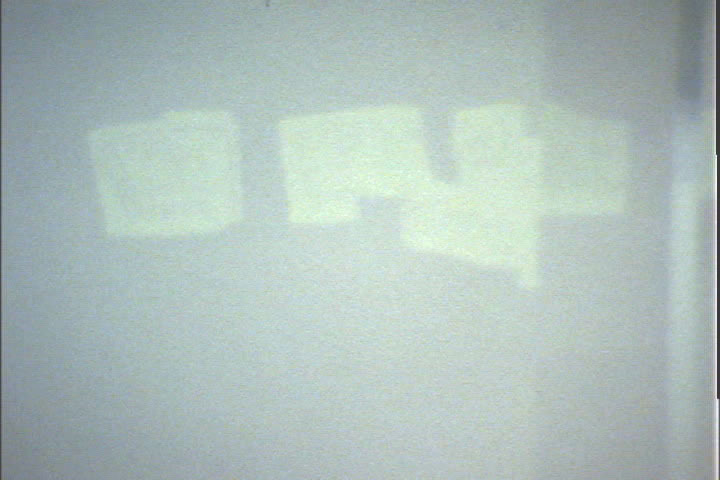 She invited Light Movement to organise this selection of films as a reflection on the themes present in her ambitious site-specific work for the Hotel Maria Kapel, which continues her body of work referred to as 3D collages, works which absorb their environment’s physical terms, creating experiential architectural constructions that masquerade as photographic collages. The selected films offer a range of approaches to architecture, from documentary forms to structural poetic impressions - yet there are many formal links. The psychological resonance of spaces, the inner experience of time passing and the encounter of the everyday environment all crop up repeatedly in various guises, allowing one version of a story to be told which is that of our very personal yet ultimately paradoxical experiences of space. 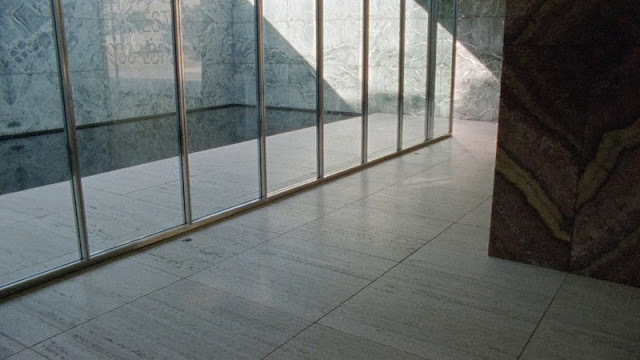 A metric film which splices together footage of Mies van der Rohe’s most notable works — including the Barcelona Pavilion replica, Farnsworth House and the Neue National Gallery — with audio from the architect himself. Filmed in a South Bronx high-school, Tabula Rasa attempts through sound image juxtapositions, digital manipulation and layering to deal at once with the propensity to mislead and eloquence of the recorded image. The ambiguous qualities of appearances, so assiduously cultivated by institutions, the motivations found in the clues that tells the history of objects, colors, textures, architecture and ultimately, psychological states of mind are but some of the players in this poetic and cultural happening. A fictional architecture of interiors and exteriors made through intuitive observations with the lens. The juxtaposition of the two spaces act as both metaphor and experiential resonance for the inner and outer worlds of the self, as well as being a quietly autobiographical documentation of a life between two places. High velocity images of rapid fire movement, intense zooms, patterns flying across the screen. Expanding and contracting shadows and light. Shafts of light and the camera are moving through the dark as in a glissando. Flat, sharply cut forms appear in black-and-white and high definition. They feel their way along expanses of wall, opening up storeys, windows and doors, and break down on floors, stairs and columns. 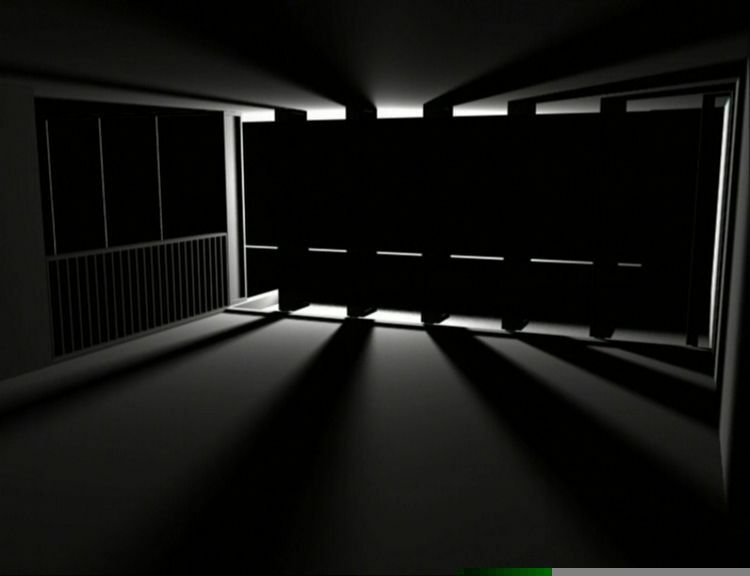 In this way, according to a controlled choreography upheld by the music of Anton Aeki, a truly architectural experience is created on the screen. Like a constructivist audiovisual mobile, the building reveals itself and is being documented as in an architect's dream. In other words: as a spatial and atmospheric starting point for users to start leaving their marks on it. Building is inspired by the new concert hall in Bruges and thereby also pays homage to the work of Robbrecht and Daem, the belgian architects' collective which is well known for such exploits as the new Boijmans van Beuningen museum in Rotterdam and the Aue-pavilions for Documenta IX in Kassel. A farewell structural poem for a beloved place. The images were shot frame by frame over the course of a year, in order to portray the author’s home main room through the variation of the light coming from a window. The sound, by Pablo Denegri, was made mixing and processing, on real time, direct recordings made in the same space. *With extended thanks to the Hotel Maria Kapel, artist in residence Alanna Lawley and to all the filmmakers who kindly allowed their work to be shown in the program.